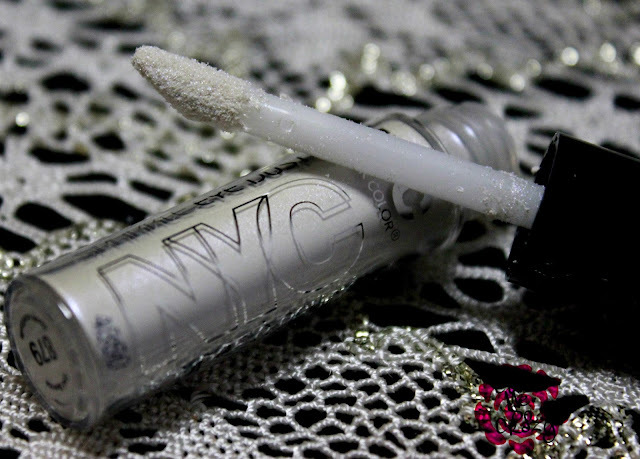 NYC New York Color Sparkle Eye Dust for Your Holiday Needs! 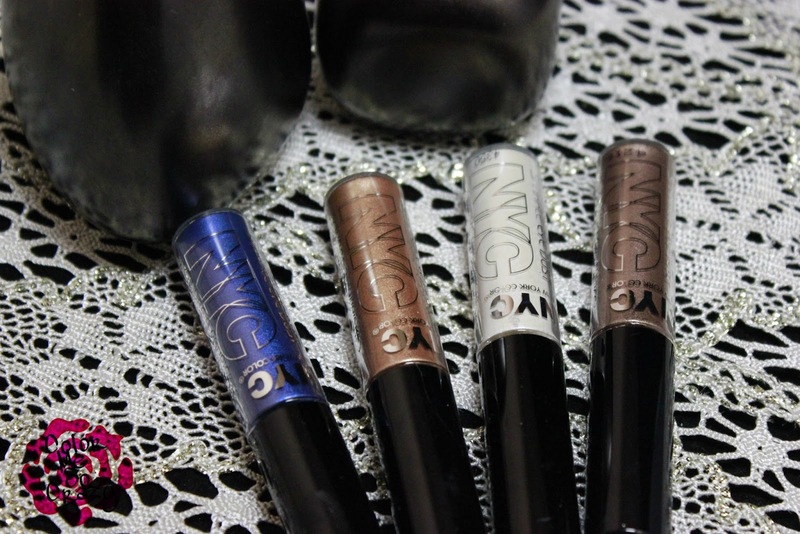 NYC New York Color has these neat little eye shadow wands that are perfect for your upcoming nights out! 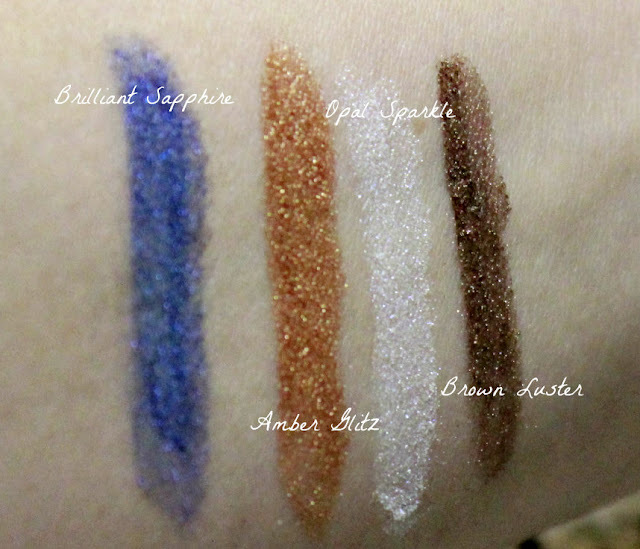 I am super excited to share these with you especially with NYE right around the corner! When these arrived in my mailbox, the first thing I thought of was, " these are perfect to throw in my bag for any night out". Now, to see if they measure up! The set that I have comes in 4 colors. These are perfect for any party as they are all shimmery and metallic in finish. They come in a 2g tube with a doe-foot applicator. 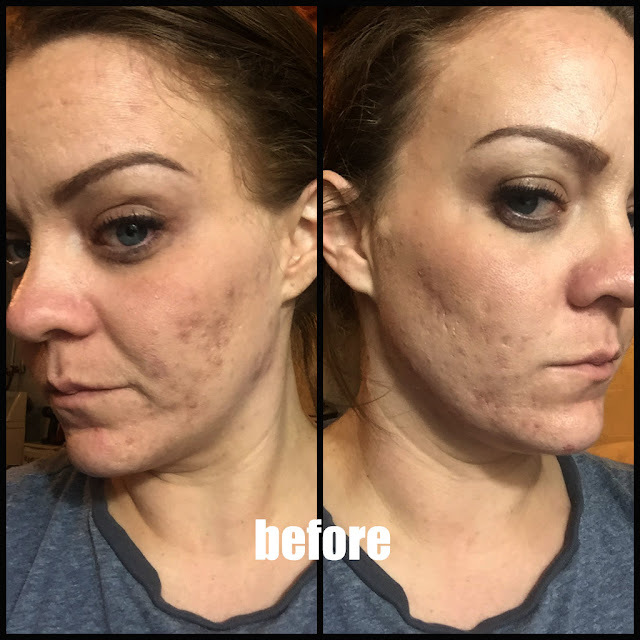 They apply super easily and with a lot of pigment. I will say that there is a lot of fallout, naturally, because of the applicator. I was super careful when I took the applicator out of the tube. I kind of twisted it and then tapped it to make sure nothing extra came out when I applied it. Don't forget, you can absolutely build this on your lid. It is super shimmery and a really nice formula so you don't need to pile this on. Avoid the fallout by doing thin layers. If you loves these, you can pick them up at just about any drug store for around $2.99 each. These are available in 10 shades: Opal Sparkle, Aquamarine Sparkle, Diamond Dust, Amethyst Dazzle, Amber Glitz, Smokey Topaz, Bronze Shimmer, Brilliant Sapphire, Golden Champagne and Pink Topaz. Do you love these? What do you think of wearing these for the holidays? Everyday wear? I'm kind of in love with these colors, so I will rock these probably all the time!